Any time the experts can’t figure out a complicated problem they point the lazer of blame at the parents. Result: support for children engaging in a Gotcha War. When I was first studying to be a therapist, parents were blamed for creating schizophrenia – now known to be caused by a brain change due to a number of yet unknown causes, but not by parents behavior–perhaps by family genes. Double Bind communication was where the experts pointed their lasor of blame in terms of schizophrenia. My mother had a different term for what the experts meant. Never mind that the person or teen suffering from this mental illness distorted reality, heard voices, and acting irrationally; such behaviors make it difficult for anyone to understand what the person wants or needs at any particular moment. 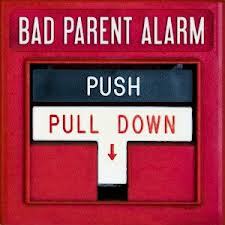 The experts focused on the parents as causing the irrational behavior. Fortunately, times have changed and serious mental illnesses are better understood. But not completely. Drives me crazy that every once in a while I see an article suggesting parents are the source of a child’s major mental illness. It is much more complicated than that. One of my sons called home at the end of a school day. He had been grounded for five days. This was day number five. He begged me to let him off as he had been good and his friends needed him for a pick up football game. Soft touch that I am, I gave in. Shake the finger of blame at me. Thought I was being sweet and kind. Did I get it when this son came home. I apologized but he sulked for a good fifteen minutes. A parent cannot win sometimes. Obviously, stick to your rules is good general advice for parents when it comes to avoiding double binds. When parents hold to rules, children know what to expect and that increases feeling safe and in control. I failed that one, but it was a good lesson for both of us. Lesson for me: Hold to rules and punishments. Family meetings should be the only place rule changes and consequences should be re-negotiated. Lesson for son: Be clear about what you want to happen when you ask for something. Tip one: Say what you mean, mean what you say, and try hard not to say it mean. Tip two: Don’t ask questions instead of issuing an order. I am so guilty of asking a question when I am hoping the person will choose what I wanted. When you make that mistake, the only right thing to do is accept the other person’s answer. Not, that you would ask that of a three-year old. Tip three: Remember Parents Are People Too. I guarantee you will double bind your child more often than not. So hear this: parents and kids are not robots but living and learning human beings. Bad news that means mistakes like double binds happen. Good news: Kids are heaps stronger than the keep ’em happy gurus suggest. Otherwise, the human race would not have moved far out of the trees. Tip four: As much as you can, follow Tip one, but when you haven’t, don’t have a hissy fit or beat up on yourself. Most of the time, life will go on and everyone will be A- Okay. Lots of parenting advice seeks to make parents perfect parents. Not fair. As noted above, none of us are perfect; however, most of us are good enough and most kids are strong enough to survive imperfect parenting. Here is my thank you or welcome to the my blog gift – a quick introduction to The Daily Twelve Emotional Fitness Exercises. My newest E book When Good Kids Get You in A Gotcha War is available on Smashwords for the introductory price of 99 cents. Another related to this subject s available at Amazon How to Hold a Successful Family Meeting. You don’t need a kindle to read ebooks from Amazon. You can download a free Kindle reader to your computer when you buy the book. If you buy any of my books, please review where you bought it or leave a comment on my blog. Thank you helping me stay strong. As I tell myself a thousand times a day, stay strong, and give lots of love and hope for a bit of luck. This entry was posted in Parenting Issues and tagged children, Double binds, Emotional fitness, Emotional Health, Gotcha War, Imperfect parenting, Katherine Gordy Levine, parenting, parenting tips, postaday. Bookmark the permalink.